This 160 +/- acre Osage County ranch is nestled among the Osage Hills, approximately 6 miles northwest of Tulsa’s central business district. The property features an unobstructed view of downtown Tulsa’s skyline, gently rolling topography, two ponds and a mixture of open pastureland and wooded areas. With neighbors such as the Gilcrease Foundation and Tulsa Botanical Gardens the property provides a quiet country setting only minutes from downtown. 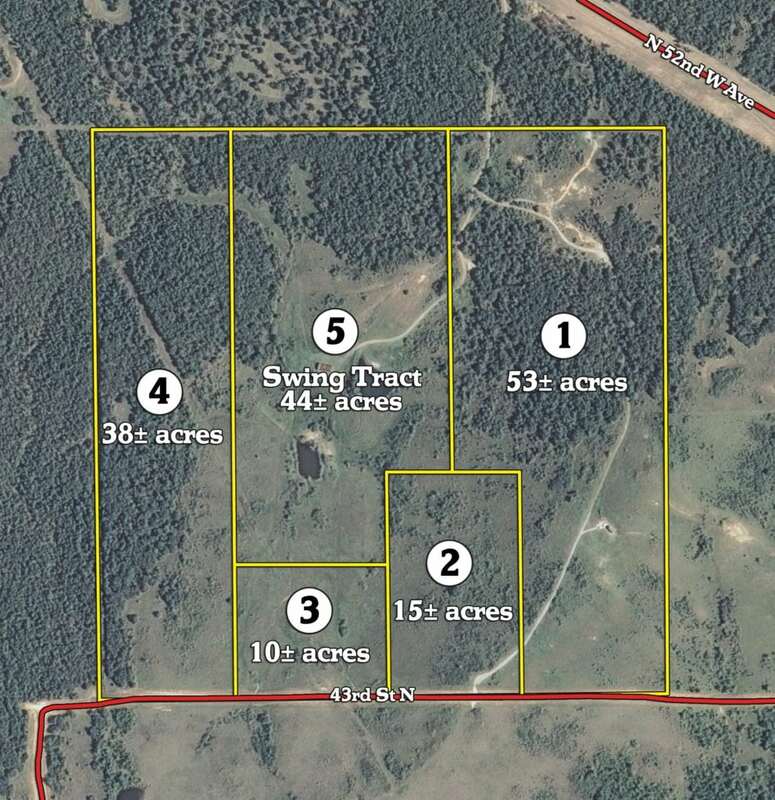 Offering the ranch in 5 tracts, ranging from 10 to 53 acres, allows bidders to create the package that best fits your needs. 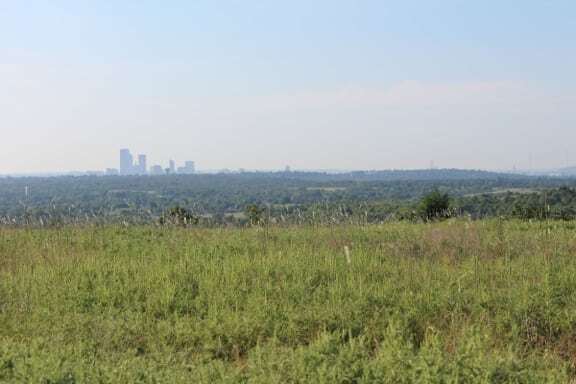 Tract 1: 53 +/- acres located on the east side of the property, fronting 43rd Street N. This tract runs along a ridge line and features a truly remarkable view of Tulsa’s skyline. Comprised ofapproximately 50% open pastureland and 50% mature hardwood timber, the tract has the view for an ideal potential building site. Tract 2: 15+/- acres located along the southern part of the property. The tract fronts 43rd Street N and features the same view of downtown Tulsa as tract one but in a smaller package. The acreage is comprised of mostly open pastureland and small hardwood trees. Tract 3: 10 +/- acres located along the southern part of the property. The tract fronts 43rd Street N and lies within an open valley running through the property. A small spring-fed creek runs north through the tract, purchase individually or in combination with surrounding tracts for more acreage. Tract 4: 38 +/- acres located along the western side of the property. This tract runs along a ridgeline and offers some excellent views and topography change. Comprised of approximately 25% open pastureland and 75% mature hardwoods, the tract can be used for building and recreational purposes. Tract 5: 44+/- acres located in the center of the property. Tract 5 is very appealing with a combination of pastureland and two ponds in the valley and mature hardwoods on the north ridge line. Purchase in combination with any of the surrounding tracts to create your ideal setting.